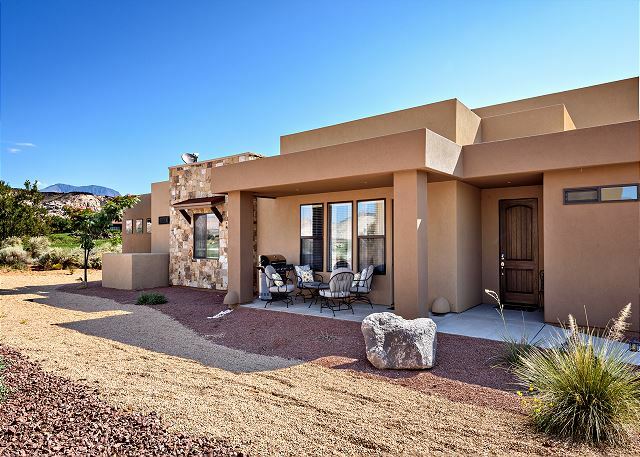 The Escape On The 18th Hole is a 2,120 Square foot villa with 4 bedrooms each with a private bathroom and is located on the 18th fairway at The Ledges Golf Club. 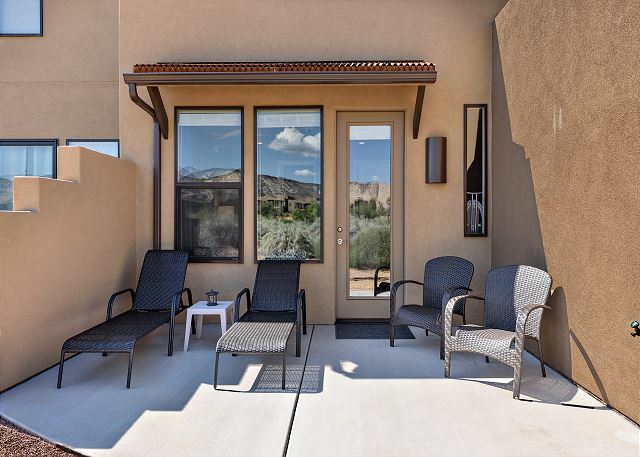 Watch the sunset on your private patio outside master bedroom. Enjoy the view of the 18th hole on The Ledges Golf Course from your back patio! 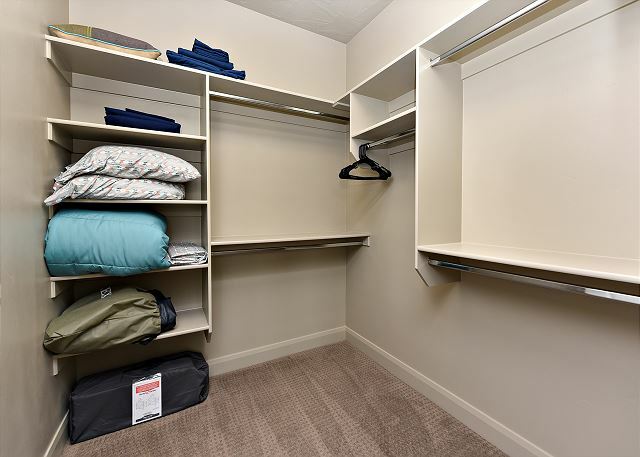 Master Closet is large a spacious, stocked with extra pillow's, blankets, and air mattress. 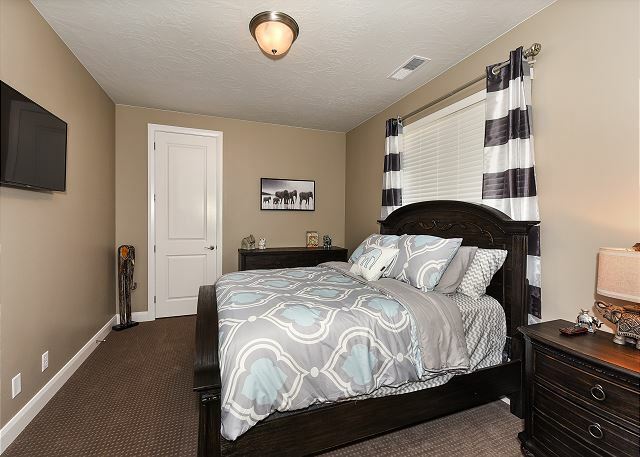 Bedroom 2 includes a King bed, private satellite TV, walk-in closet, and private bathroom. 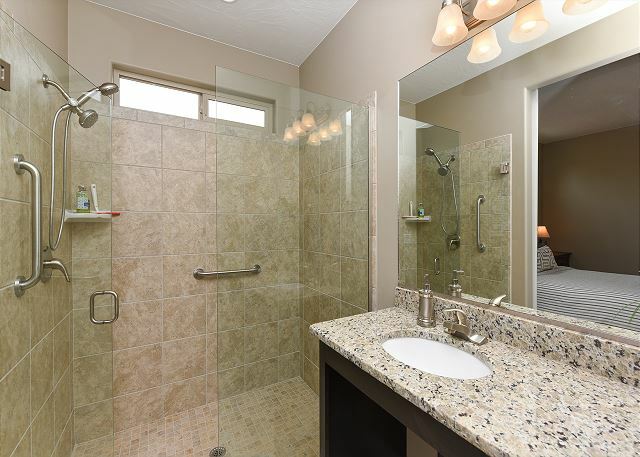 Bathroom 2 is wheelchair accessible with sink, toilet, vanity, and walk-in shower. Welcome to The Escapes On The 18th Hole! 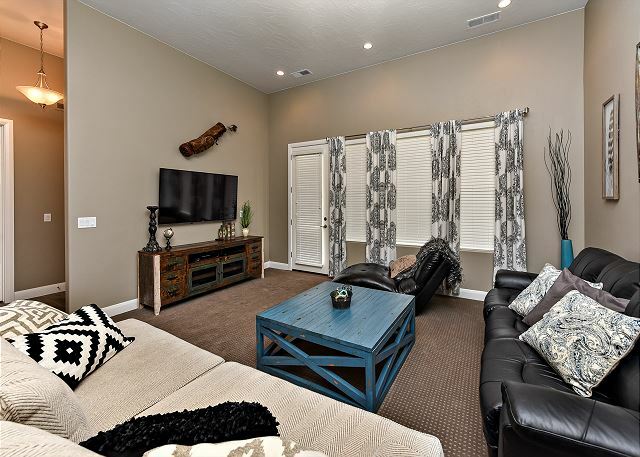 Escape On The 18th Hole is a pet friendly and wheelchair accessible, 2120 sq foot, 4 bedroom luxury villa furnished with all the upgrades you could ask for, including flat-screen HDTV's, granite counter-tops, as well as stainless steel appliances. 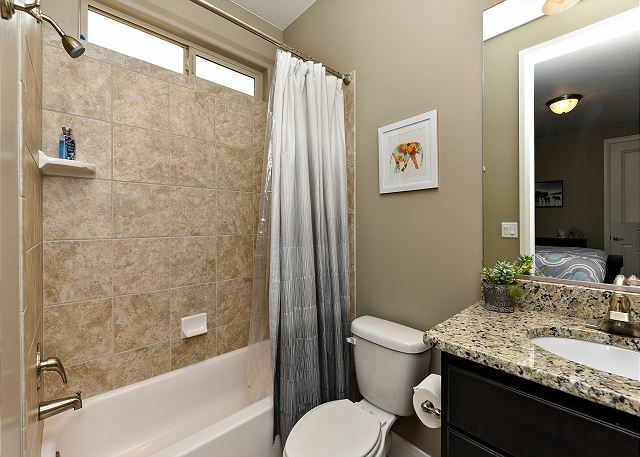 Each of the four bedrooms has their own en suite bathroom making this unit a perfect option for golf group. 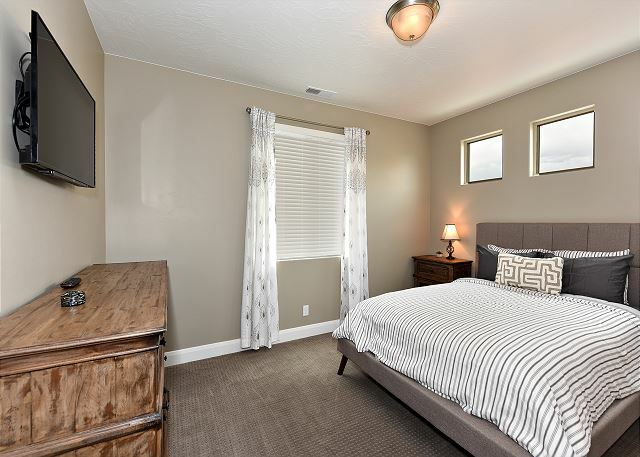 The floor-plan is spacious with bedrooms that are quiet and private. 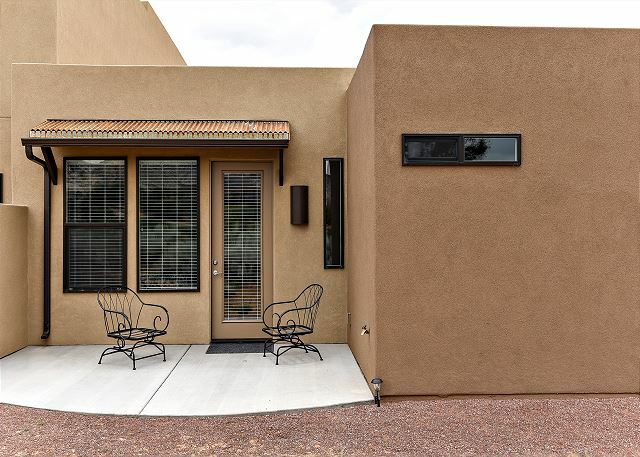 Whether you're looking to relax or spend your day enjoying the surrounding landscapes, you can rest comfortably in the contemporary style bedrooms, partially covered outdoor patio, or spend time with family and friends in the family room. Except for the unusual weather everything was perfect. Hot tub, pool and pickle ball courts were all clean and we used them all. Location and accommodation was great. Dan went above and beyond to make sure everything was just right. Ledges Vacation rentals are very lucky to have someone as personable, knowledgeable and caring for their guests as Dan is. Richard- Thank you for coming to The Ledges for your golf trip. We are truly honored to have you & your group. Dan Dekker spoke highly of your group and truly cared about your experience here. He made mention how the rain needed to leave so you guys could get your Coral Canyon round going haha :) We will let him know your kind words. Thanks again for staying and let Dan know if he can help with your next trip out this way. I have stayed in this home two times now. It is very clean, beautiful and the property management team is great! I love this area of St George as it is so close to Snow Canyon and not too far into town. The home has everything you need and the pool and hot tub are a nice bonus. Mandy, Thank you for choosing to stay with us at The Ledges. We appreciate you taking the time to give us such a great review. We are happy to hear that you loved the home and the amenities we have to offer. We look forward to helping you again in the future. Thank you, from all of us at The Ledges. Bart, Thank you for choosing to stay with us at The Ledges. We appreciate you taking the time to give us such a great review. We are happy to hear that you loved the home and the amenities we have to offer. With the bad weather and tournaments being canceled we are happy to hear that you understood why the amenities were so busy. We look forward to helping you again in the future. Thank you, from all of us at The Ledges. There is plenty of room for everyone. It was great to have a bathroom in every bedroom and a half bath in the hall. No stairs which was a bonus for our family. The managers are great to work with. Melodianne, Thank you for choosing to stay with us at The Ledges. We appreciate you taking the time to do the review. We are happy to hear that you loved the home and the amenities we have to offer. We look forward to helping you again in the future. Thank you, from all of us at The Ledges. 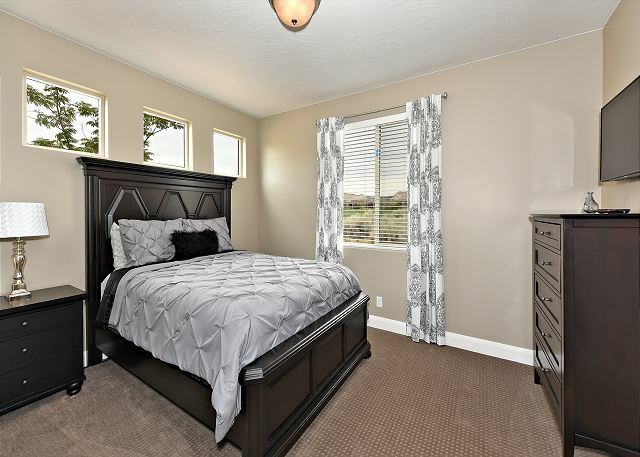 Very well laid out floor plan and great furnishings. We were very comfortable and each of our kids had their own room and bathroom. We were pleasantly surprised that the pool and hot tub were open year round, and both are very close by, just walk across the street. Also, it was nice that pickle ball rackets were in the house that we could use. Our family really enjoyed learning to play. TVs and WiFi were great. Chad, Thank you for choosing to stay with us at The Ledges. We appreciate you taking the time to review us. We are happy to hear that you loved the home and the amenities we have to offer. We look forward to helping you again in the future. Thank you, from all of us at The Ledges. We came up for a wedding - it was my parents, myself, my husband, our 15 yo son, and our little doggies. All of us were so extremely comfortable in this beautiful home - everything was nice, from the finishes, to the furniture, to all the nice clean towels, to each bedroom having their own en suite. It was a great bonding experience for all of us, and we thoroughly enjoyed our stay. We will ABSOLUTELY be back for another visit to enjoy more of the Snow Canyon park - which is 5 minutes away! Thanks so much! Lauren, Thank you for choosing to stay with us at The Ledges. We appreciate you taking the time to review us and are happy to hear that you loved the home and enjoyed the amenities we have to offer. We look forward to helping you again in the future. Thank you, from all of us at The Ledges. A great time was had by all. We may repeat next year. It was a joy to work with "Dan"
Joan, Thank you for choosing to stay with us at The Ledges. We appreciate you taking the time to review us and are happy to hear that you loved the home. Yes, Dan is great and we are glad he was able to help you. We look forward to helping you again in the future. Thank you, from all of us at The Ledges. Spencer, Thank you for choosing to stay with us at The Ledges. We appreciate you taking the time to review us and are happy to hear that you enjoyed your stay. We look forward to helping you again. Thank you, from all of us at The Ledges. We had so much fun celebrating our friend's 50th birthday at the "Escape On the 18th Hole"! The property was beautiful. The beds were comfy. Location was great. We went exploring in the area a couple days to Snow Canyon and Pioneer park and then also drove about an hour to Zion. It was an awesome stay. Everything was clean and maintained and customer service was excellent. We would definitely visit again and recommend to others. Thank you for a great stay! Dana, Thank you for choosing to stay with us at The Ledges. We appreciate you taking the time to review us and are happy to hear that you enjoyed your stay and the beautiful area that surrounds us. We look forward to helping you again in the future. Thank you, from all of us at The Ledges. Jon, Thank you for choosing to stay with us at The Ledges. We appreciate you taking the time to review us and are happy to hear that you enjoyed your stay. Thank You and we look forward to helping you again in the future. Thank you, from all of us at The Ledges. Every other year the 7 siblings meet somewhere for 4-5 days. This year was at the ledges. We rented 2 condos and had the time of our lives! We voted that this was the best so far!!! Something for everyone. We all went in different directions, some golfing, some rock climbing, some hiking. and then to get to come back to a beautiful extremely comfortable home. Absolutely the best!!!!! Bonnie, Thank you for choosing to stay with us at The Ledges. We appreciate you taking the time to review us and are happy to hear that you were able to enjoy the amenities. Thank You and we look forward to helping you again in the future. Thank you, from all of us at The Ledges. Stacy, Thank you for choosing to stay with us at The Ledges. We appreciate you taking the time to review us and are happy to hear that you enjoyed your stay. We look forward to helping you again in the future. Thank you, from all of us at The Ledges. Three friends and I from Colorado Springs stayed here for a guys golf getaway. We were all blown away by this beautiful house and the great location (on the 18th fairway). The house has everything you will ever need. The only inconvenience is there are no stores within 5-6 Miles but I'm sure that will change soon.A great place to stay not only for guys but the whole family. Frank, Thank you for choosing to stay with us at The Ledges. We appreciate you taking the time to review us and are happy to hear that you were able to enjoy the amenities. We look forward to helping you again in the future. Thank you, from all of us at The Ledges. 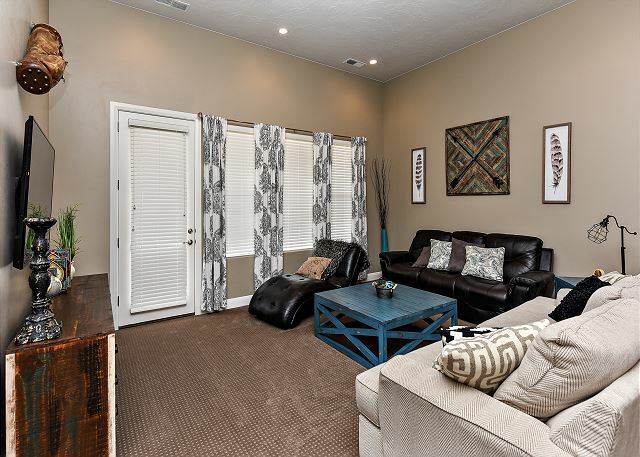 Seven of us (3 couples and 1 single) enjoyed this beautiful condo on a recent weekend visit to St. George. As a group of seniors, it was convenient having everything on one floor. It was a perfect set up for us--four bedrooms, each with a private bathroom. The beds were comfortable and each room was spacious and attractive. We appreciated being able to use the garage to park two of our cars to keep them out of the 100+ temperatures. We didn't have enough time to take advantage of all the amenities like the pool, but the pool was close to the condo and never seemed overcrowded when we passed by. The condo is about a 10 minute drive from St. George and the drive is about the same to Tuacahn. We enjoyed an evening show at Tuacahn and then drove to Snow Canyon and enjoyed a few minutes observing the night sky and the beautiful stars. We even saw a shooting star. 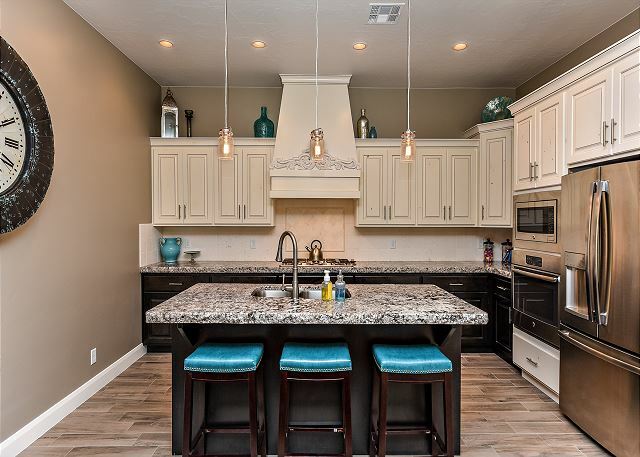 We look forward to future visits to St. George and staying at this wonderful condo! Kelly, Thank you for choosing to stay with us at The Ledges. We appreciate you taking the time to review us and are happy to hear that you enjoyed your stay. 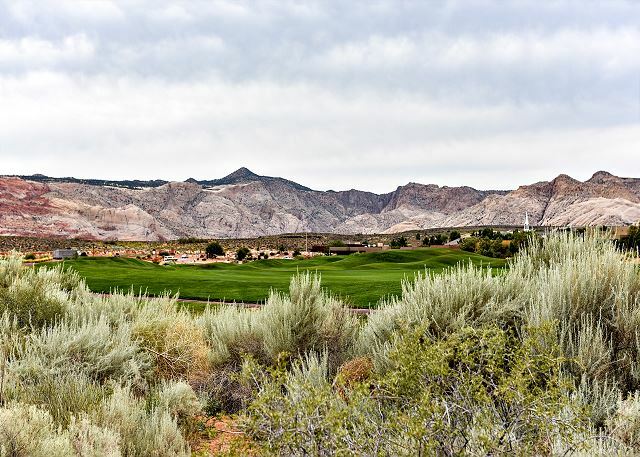 We love that you were able to enjoy what St. George has to offer. The Snow Canyon State Park and Tuacahn are some of our favorites. We look forward to helping you again in the future. Thank you, from all of us at The Ledges. This condo was great for my family of 10 (6 adults and 4 kids). It was spacious, clean and beautifully decorated. We also loved how close it was to the pool (2 min walk) and how it had a bathroom in every room. It also had a well equipped kitchen, which we enjoyed since we made a couple of dinners there. I think 2 items that would make this place even better would be: 1. Have an awning out by the BBQ. It wasn't fun BBQing with the sun beating down on you in the 100 degree heat. 2. If you could put some no slip matting under the rugs throughout the house. They would bunch up and we'd trip over them. Overall it was a great trip and we will definitely be back! Charlotte, thank you so much for choosing to stay with us here at The Ledges. It was such a pleasure having you all. We truly appreciate your valuable feedback and the home owner is addressing these concerns asap. We thank you and look forward to having you stay again :) Thanks so much from all of us here at The Ledges. Everything was as described. The home is beautiful and spacious and even though the neighborhood is under construction, it was quiet and not a problem. The management company provided excellent directions since it isn't in navigation programs yet. 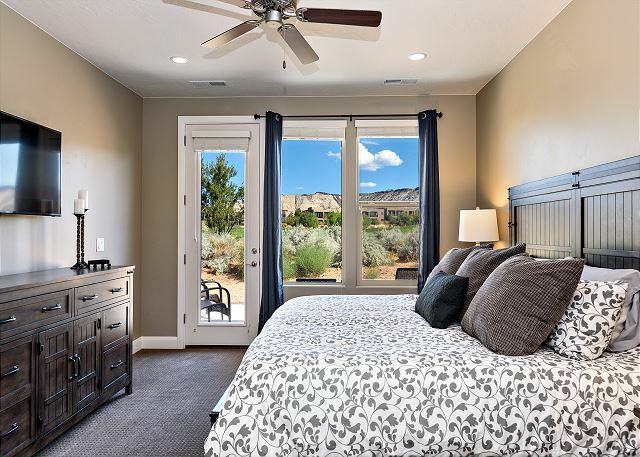 Heather, we are so happy that you chose to stay at The Ledges Vacation Rentals for your trip to southern Utah. We are pleased to hear that you had an overall great experience and appreciate your kind response in regards to the home, the neighborhood, and our staff! We hope to see you again in the near future! Thank you, from all of us at The Ledges. A home to go back to. The home was very nice and in a great community. Everything that you may need to make your stay a great experience was provided. 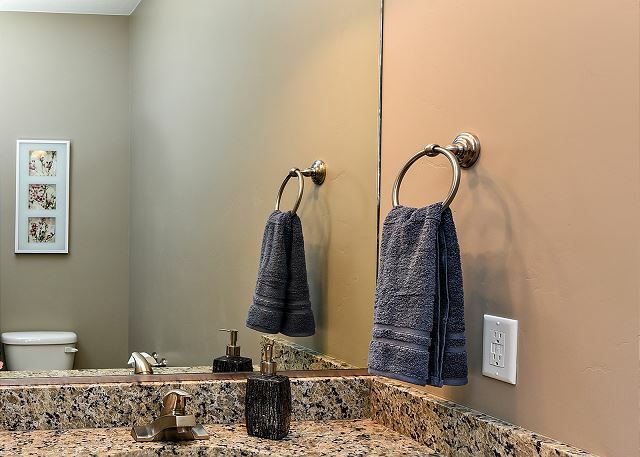 From all the amenities in the bathrooms to the well equipped kitchen. It was a nice setup for 4 golfers. The outdoor sitting area was small and was impacted by the grill on the patio. Dan Dekker from the management staff was the best customer service person it has been my pleasure to deal with. Can not wait to return again. 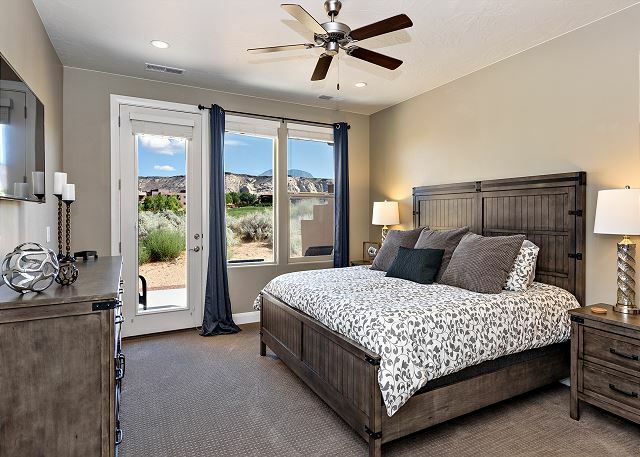 Tim, we are so happy that you chose to stay with us at The Ledges for your golf trip in southern Utah. We appreciate your kind response in regards to the home, the amenities it has to offer, and our property manager, Dan. We are very pleased to hear that you had an overall great experience here, and can not wait to see you again in the future! Thank you again, from all of us at The Ledges. Excellent, The villa was fantastic, better than the pictures made it look Very clean and everything was supplied for our stay. Staff was extremely helpful in all phases. Even the weather was great. Will definitely stay at The Ledges again. Superb!!!! James, we are so happy to hear that you enjoyed your stay with us. We appreciate your kind response in regards to the golf, home, and staff. We can not wait to see you again in the future! Thanks again, from all of us at The Ledges. Excellent. Ther accomafatiins were 1st class and worked out perfectly. The resort facilities including the golf course were outstanding. William, We are happy to hear that you enjoyed your stay with us at The Ledges. We appreciate the your kind response in regards to the property and the amenities it has to offer. We hope to see you again soon! Thanks again, from all of us at The Ledges. Mel, Thank you so much for coming to stay with us here at The Ledges. Our property manager Dan Dekker, spoke so highly of your group and wants you to know that you are welcome back here anytime. We loved having you and looking forward to a future stay. 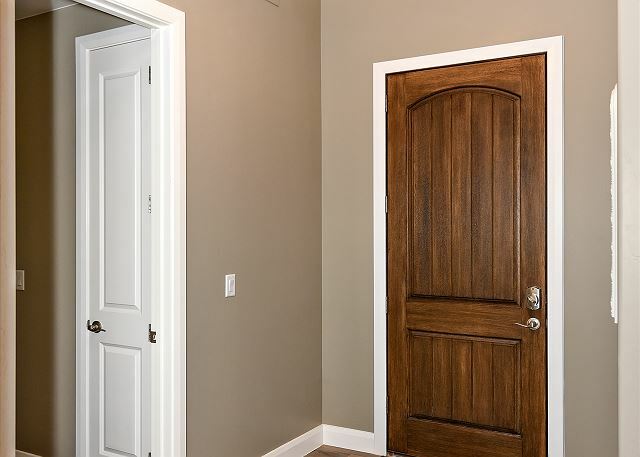 Very satisfied with the price, amenities and condition of this lovely new home. Jon, we are happy to hear that you enjoyed your stay with us here at the Ledges. We thank you for your kind words in regards to the property and your overall experience. We hope that you will return soon! Thank you again, from all of us here at The Ledges. Shirley, thank you for choosing to stay with us at The Ledges for your ladies get away. We are so happy to hear that you enjoyed your stay! We appreciate your kind response to our properties as well as the restaurant and clubhouse. We hope to see you again soon! Thanks again, from all of us here at The Ledges. It was even better than we thought it would be! It was spacious, well stocked, clean, and overall a great place to stay. The kitchen had everything we needed and more (waffle maker and crockpot). 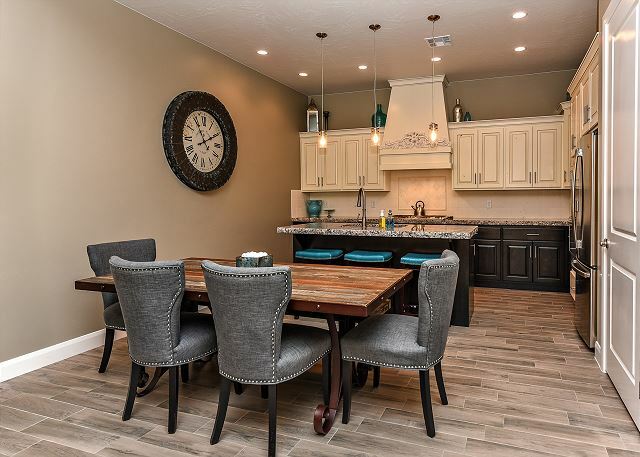 We all had our own space in the home, the kitchen had a great layout, the table was big and could seat alot of people, and the family room had plenty of seating space too! It was right across the street from the pool and pickle ball courts (which were very busy but fun). It is right by Snow Canyon for hiking and not too far from stores. We thoroughly enjoyed our stay here and would love to stay again! Jill, We appreciate your kind feedback in regards to your stay with us here at The Ledges. We are happy to hear that you enjoyed the condo and all that it has to offer including the amenities and surrounding areas. We hope to see you again soon! Thank you again, from all of us here at The Ledges. Jennifer, thank you for coming to stay with us here at The Ledges. We appreciate your honest feedback of this beautiful vacation villa and glad you enjoyed it. Please know you are welcome back here anytime! Thank you again from all of us here at The Ledges. This was our second time staying at the Ledges. There are 4 of us (all golf) and the location is perfect for taking advantage of all the local courses. The booking, stay and golf all went smooth. Well run property! Frederick, thank you for coming back!! What an absolute honor it was having you all stay and play. We always appreciate return clients so we want you to personally know how much it means to us. Thank you for your honest feedback of this beautiful home, and area. Please know you are always welcome back here! Thank you again from all of us here at The Ledges. Dave thank you for coming to stay with us here at The Ledges. It was an honor having you and we appreciate your honest feedback of this gorgeous luxury villa. Please know you are welcome back here anytime to enjoy the many amenities The Ledges has to offer. Best regards from all of us here at The Ledges. We had 4 couples for our stay. The house was great! It was well equipped, clean, very comfortable, and the location was excellent! Dan Decker was very good to work with. We will be back. Rick, thank you so much for coming to stay with us here at The Ledges. It was an honor having you and we truly appreciate your honest feedback. Please know you are welcome back here anytime! Come see us again soon! Many thanks from all of us here at The Ledges. Mark, Thanks so much for coming to stay with us for your golf trip. It was an honor having you and please know you are welcome back here anytime! Let us know if there is ever anything we can do for you. Best wishes from all of us here at The Ledges. Beautiful home with all amenities. Clean, inviting environment. We loved staying here. Kids loved the pool! Walking paths close, with breath-taking views. Dave & Family, Thanks so much for coming to stay with us here at The Ledges. We are so pleased to hear you enjoyed your vacation home and all the amenities. The views here are breath taking and we sure appreciate you staying. Please come see us again! We had a wonderful stay at ledges condos along with my wedding reception at the condos golf course clubhouse. 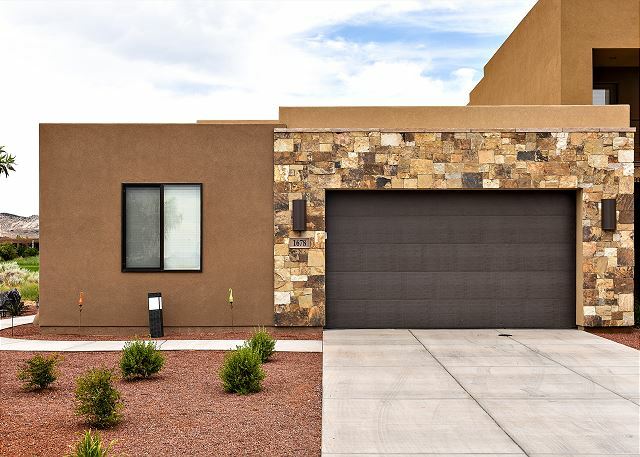 The condos are very convenient so that my fiancé's family and my family had a place to stay where everyone had access to the pool and a family room and the kitchen and . We enjoyed being able to stay all together as a family rather than having separate motel rooms for each family unit. I highly recommend ledges to others who need a place for a family reunion in the St. George area. Thank you so much for staying with us here at The Ledges. We wish you and your new groom all the best and thank you for having your wedding here. Please come visit us again. Each golfer had their own bedroom and adjoining bath. The unit was clean and comfortable. Thank You for staying with us here at The Ledges. We are happy to hear that each golfer enjoyed their own room with private bathroom. It was an honor having you stay with us and we look forward to your future stay. 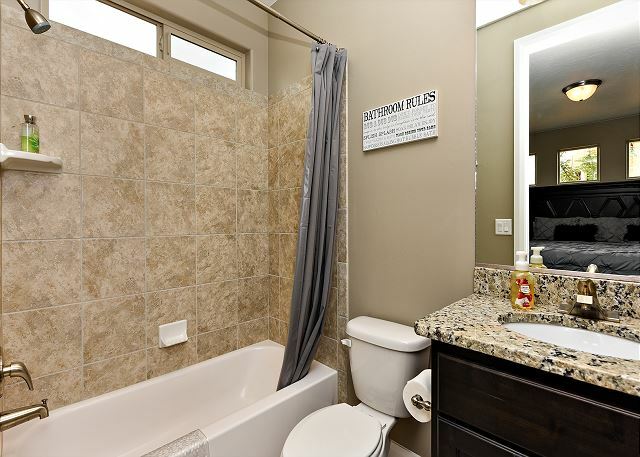 Super condo with 4 bedrooms all on one level. Located on the a8th hole and close to the clubhouse. Will be even better when the pool is completed. Thank you for your kind words and review. We appreciate you highlighting that we are located on the 18th fairway and near the clubhouse. We look forward to having you stay with us again! Beautiful location. Very clean. Very responsive property management. We appreciate your review and kind words regarding your recent stay. Lots of room each bedroom has its own bathroom. Very comfortable and home like with tons of extras. Can't wait for the pool to be done. Right on the golf course. 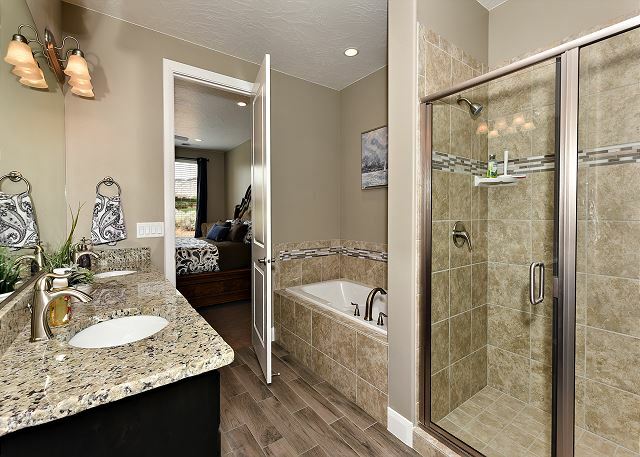 Thank you for your review and for highlighting that each bedroom has a private bathroom in our vacation rental. We hope to see you again soon! 4 senior couples had a great golf get away staying in this beautiful, new house which was very accommodating to us. Since it is so new there were some issues that need repair but the management company were helpful. We are pleased to hear you had a great golf getaway and enjoyed your stay! Thank you for writing a review.